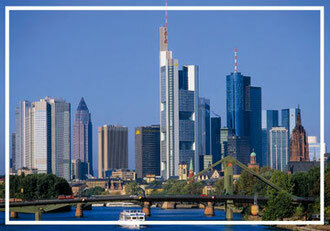 Frankfurt is characterized by its impressive skyline. Enjoy the flair of the important financial city. Do not forget the famous Frankfurter Äppelwoi in Bornheim or in Sachsenhausen after your trip to the city or your trade fair visit. You can easily reach Frankfurt by car or just 40 minutes directly by S-Bahn (Rödermark Ober-Roden or Rodgau Rollwald). In Darmstadt culture, nature and urban flair are very close together. After a shopping trip on the pedestrian zone, you will experience very special moments at the Mathildenhöhe (picture), in the park Rosenhöhe, the Vivarium or a visit to the famous Hundertwasserhaus "Waldspirale". But there is also plenty to discover in Darmstadt. Is a worthwhile excursion destination. You can not miss the wine festival in September. 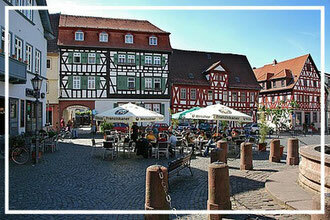 But also the historic market place invites you to a glass of wine or a latte macchiato. Seligenstadt am Main is a popular destination for a short trip (distance 15km). 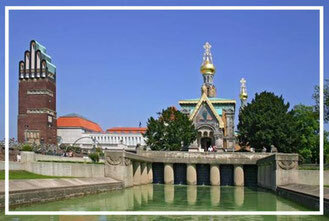 Whether in the summer to a delicious ice cream on the Main or in winter to visit the well-known Christmas market. 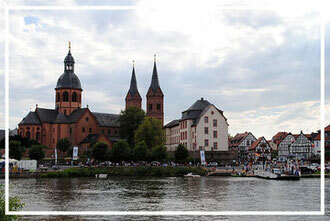 Stroll through the beautiful old town or through the nature at the river bank.